As part of the continued growth of Newcastle University, the project consisted of construction of a new student accommodation at Kensington & Park Terrace, Newcastle. The project delivered 350 new bed spaces on a heavily constrained site with limited access points and neighbours in close proximity. 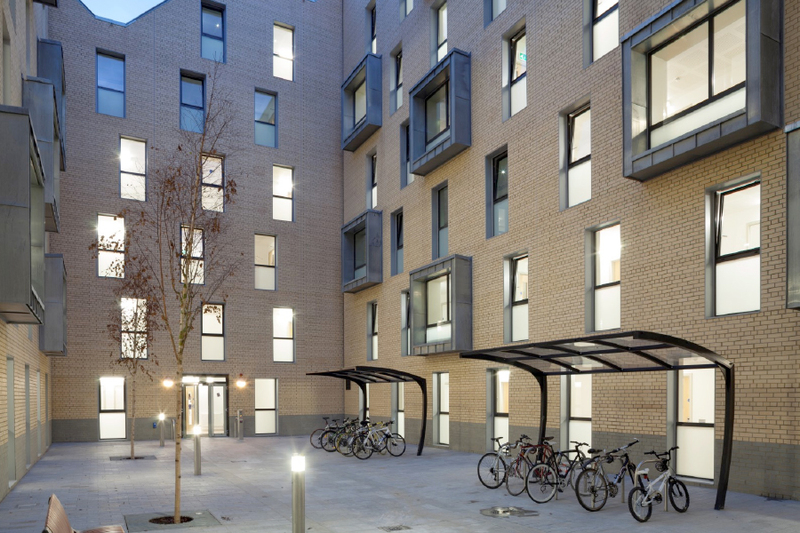 Three new build student accommodation blocks were constructed alongside the existing buildings on Kensington Terrace which were refurbished with some of the existing off-shoots demolished. Fairhurst provided a full range of engineering services including structural, civil, drainage and geo-environmental services. The Client’s preferred new build structural option, as recommended by Fairhurst, was a cold formed steel framed solution. Fairhurst worked in conjunction with Icarus to provide full structural design for this framing system. Fairhurst recognised the advantages of cold formed steel for this type of project which resulted in significant cost and programme benefits for the Client. Fairhurst’s multidisciplinary team allowed us to provide a full and comprehensive service to our Clients. Our holistic design approach and experience as a multi disciplinary consultant allow a seamless passage through projects with each area given full and comprehensive consideration.